The Stelios Kyrillidis rental company in Elassona, Larissa, has taken delivery of the first Outline GTO C-12 system in Greece and the rig’s high-profile debut on arrival was a date on Bryan Ferry’s world tour at Thessaloniki’s Dassous (Forest) Theatre. 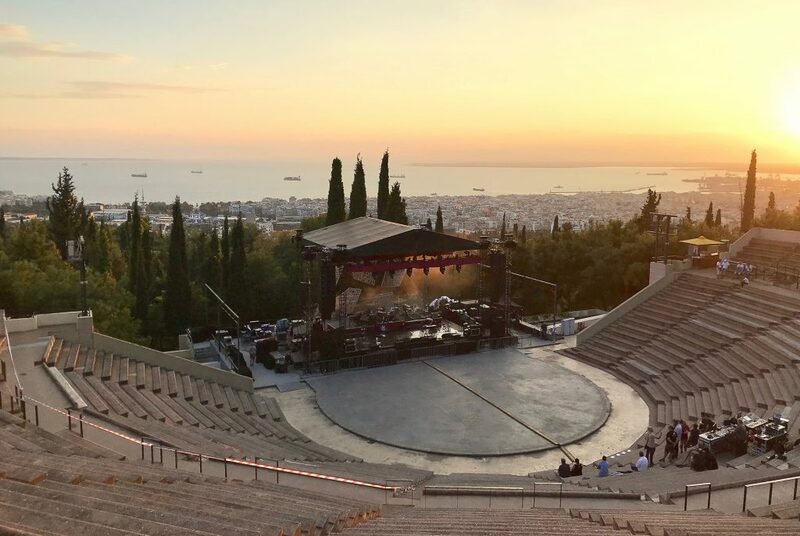 The second event followed just two days later, with concerts by top Greek names Giannis Aggelakas, 1000mods, Active Member and Pyx Lax at the magnificent Vrahon Theatre in Athens. 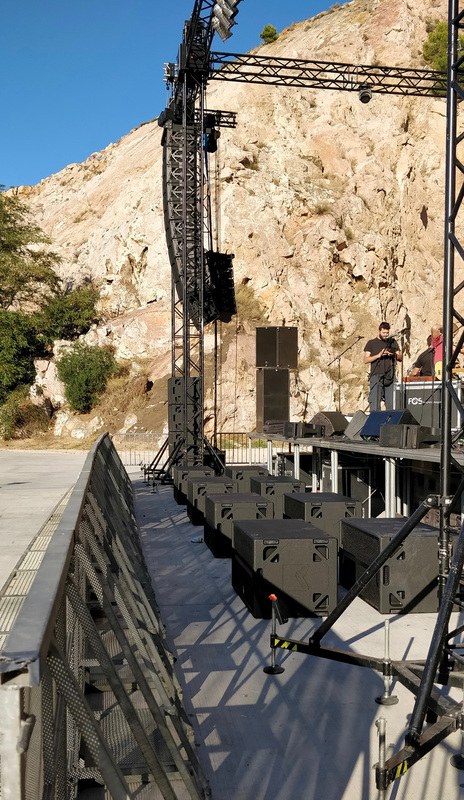 Bill Michailidis of Mega Event (Outline’s distributor in Greece) comments, “The system was a personal choice of Bryan Ferry’s sound engineer, Davide Lombardi, who assured me that he preferred this system to others he has worked with over the years. For this first set up, Giulio Gandini (R&D Engineer and Tech Support and Training specialist with Outline) came to Greece and we designed the system for this specific show together. Davide preferred to use the full-range preset (with the high-pass filter at 40Hz) to give more emphasis to the low frequencies for the upper seats at the Forest Theater. 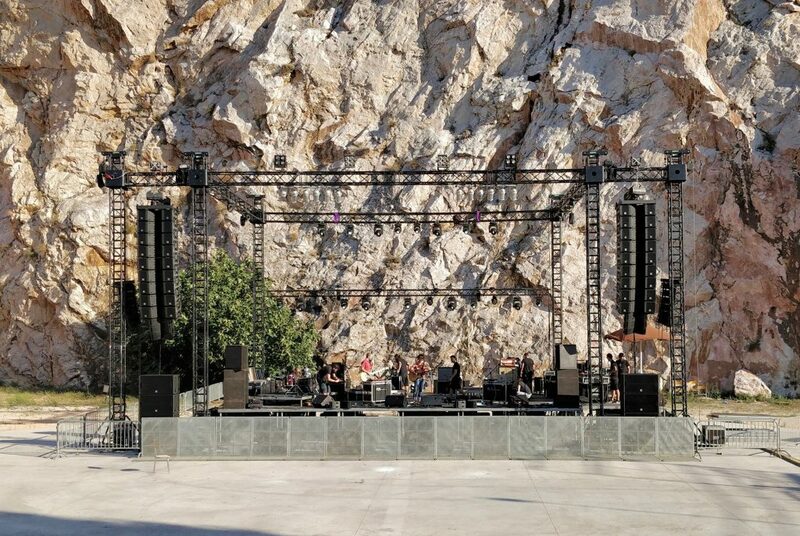 After Thessaloniki and Bryan Ferry, the system was installed at the Vrahon Theater for four important concerts by the top Greek names, including Pix Lax, the influential Greek rock band celebrating the 30th anniversary of its foundation. 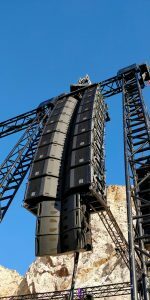 The system was rather oversized for the venue, but SPL requirements were respected and sound engineers were greatly impressed: before and after the shows, they all enthused about the results as far as even coverage and headroom were concerned. 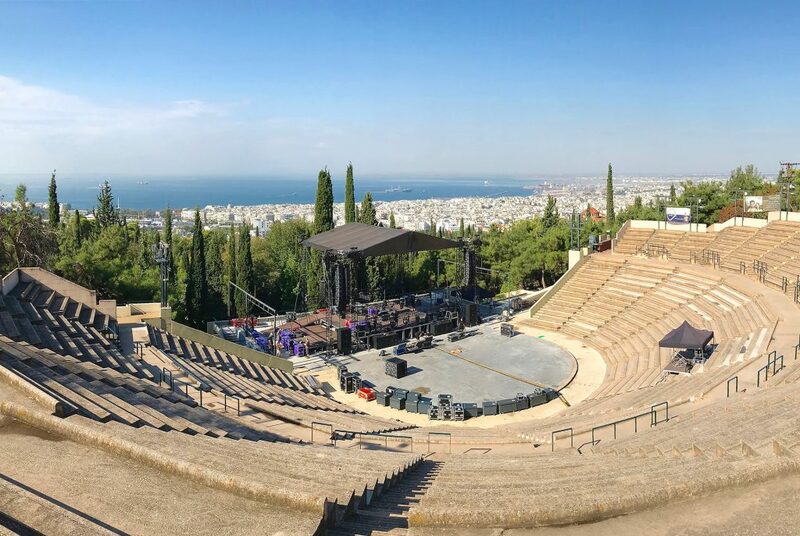 Giorgos Tachtsidis (FOH sound engineer with Aggelakas) opined, “Working with GTO at the Vrahon Theater was an enjoyable experience, as the technical crew working with us knew how to combine theory and practice, with the accent on the latter. So, thanks go to Bill Michailidis, who handled system tuning, especially on the sub configuration, despite the lack of time. It was one of the few cases in which, when it comes to low frequencies, not only the sound engineer and spectators in the centre of the venue were happy, but the subs’ energy was evenly distributed throughout the theatre with variations of 3-4dB at the sides.